When I thought about my youngest child going off to college, I worried I’d miss him and his bear hugs—his messy room, not so much. Never mind what the hubby and I would talk about or what would I do with all those free hours. But when the time came, I actually felt kind of relieved. I was busy with a job I loved, he was at a great school, and all the nagging about filling out apps was finished forever. 1). Use their preferred communication mode—probably texting—even if it’s not yours. You’ll be more likely to get a response. 3). Don’t stalk them on Facebook and don’t insist they call you all the time. Do let them know you are available to talk, listen, and give advice. 4). When they share their newfound passions, whether curling, clog dancing, or the guy or girl in the next suite, refrain from negative commentary and judgment. 5). Let them know you love them but that you are doing fine. “They want to rely on and not worry about you,” says Friedman. 6). Keep generational boundaries. Do not share marital woes, etc. any more than you would when lived at home. 7). Do some proactive planning. Make sure you are busy, especially for the first few weeks. 8). Engage in activity—do not wallow in melancholy or let inertia take over. Take up an old interest or try something new. 9). Make some fun plans with your spouse alone or with friends. 10). Reconnect with your own friends. 11) If parent-tracked, resurrect your career. Or volunteer. “And remember,” says Friedman, “before you know it, they’ll be back.” Most school have breaks for Columbus Day weekend. A version of this article appeared in Westchester Magazine. 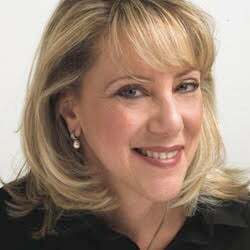 Journalist Laurie Yarnell was one of the first “mommy bloggers”—she created the popular humorous blog, “Embedded in the ‘Burbs” (“A peek over one mom’s cyber picket fence”) for NBC’s iVillage.com back when few people knew what a blog even was. She was also a longterm Features Editor for Westchester Magazine. With occasional laundry visits from her daughter and son, Laurie lives in a mostly empty nest in Rye, NY with her husband, two Labs, and various fragile saltwater fish. She writes frequently about her family, friends, neighbors, and assorted acquaintances. Amazingly enough, some of them still speak to her.